Arjun Catapult has been successfully designed and developed as per the requirement of the Indian Army, by integrating the 130 mm (SP) Catapult Gun on the modified Arjun Chassis and Automotive System. 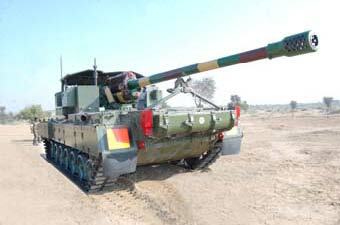 The performance of the first prototype has been successfully demonstrated to the User during the Automotive and Firing trials in 2012. However, further improvements are under incorporation to firm-up the configuration for production.